The Fourth International Conference for “The Equilibrium of the World” took place in Havana, Cuba from 28 to 31 January 2019. The Conference, organized by the José Marti Project of International Solidarity, was sponsored by UNESCO and a number of local and international organizations and NGOs. It coincided with the 60thAnniversary of the Cuban Revolution and as such was also a celebration of that successful demonstration to the world that socialism, solidarity and love for life can actually survive against all odds – and, yes, Cuba, has faced more hardship than any other country in recent history, through boycotts, embargoes and all sorts of economic sanctions, heinous military infiltrations and assassination attempts, initiated by the United States and followed, largely under threats from Washington, by most of the western world. Viva Cuba! 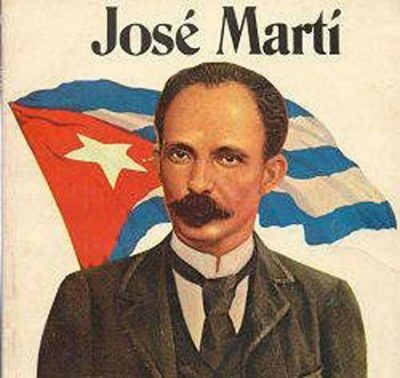 – A celebration well deserved – and in the name of José Marti, who was born 166 years ago, but whose thoughts and spiritual thinking for a new world are as valid today as they were then. They may perhaps best be summarized as love, solidarity, justice, living well for all and in peace. These principles were taken over by Fidel and Raul Castro, the Che and Hugo Chávez. They transcend current generations and reach far beyond Latin America. The conference had many highlights; brilliant speakers; a torch march was organized at the University of Havana in honor of José Marti; and the organizers offered the participants an extraordinary music and modern ballet performance at the National Theater. From my point of view some of the important messages came from the representative of China, who talked about the New Silk Road, or the Belt and Road Initiative (BRI), of building bridges and connecting countries and people, whereas the west was building walls. A Russian speaker sadly admitted that it took his government a long time and relentless trying to build alliances with the west – until they realized, relatively recently, that the west could not be trusted. Professor Adan Chavez Frias Chavez, Hugo’s brother, described an invasive history over the past 100 years by the United States of Latin America and called upon the brother nations of the Americas and the world to bond together in solidarity to resist the empire’s infringement and steady attempts to subjugate sovereign nations – with a vision towards a multipolar world of equals, of sovereign nations living together in peaceful relations. My own presentation focused on Economy of Resistance. And what a better place than Cuba to talk about economy of resistance! Impossible. Cuba has a 60-year history of successful resistance against a massive embargo, ordered by Washington and followed by almost the entire western world, thus demonstrating that the west has been reduced to a US colony. This was true already during the Cold War, but became even clearer when the Soviet Union “fell”. Here too, the west, led by Washington, was instrumental in the collapse of the USSR – but that’s another story – and the US grabbed the opportunity to become the emperor of a unipolar world. Cuban troops also resisted and conquered the attempted US Bay of Pigs (Playa Girón) invasion launched by President Kennedy in 1961 – and not least, Fidel Castro survived more than 600 CIA initiated assassination attempts. Water Resources – a Human Right and a vital resource for survival. On food, health and education sovereignty– Cuba is 100% autonomous, as far health and education go. However, Cuba imports more than 70% of the food her citizens consume and that, at present, mostly from the European Union. Cuba has the capacity and agricultural potential to become not only fully self-sufficient, but to develop and process agricultural produce into an agricultural industry and become a net exporter of agricultural goods. This process might be addressed as a priority policy issue. However, it will take some time to fully implement. Meanwhile, it may be wise to diversify imports from other parts of the world than the EU – i.e. Russia, China, Central Asia, friendly ALBA countries – because Europe is not trustworthy. They tell you today, they will always honor your purchasing contracts, but if the empire strikes down with sanctions – as they did recently for anyone doing business with Iran, Cuba may be “cooked”. Spineless Europe will bend to the orders of Washington. They have demonstrated this time and again, not least with Iran, despite the fact that they signed the so-called Nuclear Deal, the Joint Comprehensive Plan of Action, or JCPOA, on 14 July 2015 (the permanent members of the United Nations Security Council – the United States, UK, Russia, France, and China—plus Germany and the EU – and Iran), after which Obama lifted all sanctions with Iran – only to have Trump break the agreement and reimpose the most draconian sanctions on Iran and on enterprises doing business with Iran. The US government, and by association Europe, does not adhere to any agreement, or any international law, for that matter, when it doesn’t suit them. There are plenty of indications – Venezuela today, to be followed by Nicaragua and Cuba. These should be valid signals for Cuba to diversify her food imports until full self-sufficiency is achieved. Already in 2014, Mr. Putin said the ‘sanctions’ were the best thing that could have happened to Russia. It forced her to revamp her agriculture and rebuild her industrial parks with the latest technology – to become fully independent from imports. Today, sanctions are a mere propaganda tool of the west, but they have hardly an impact on Russia. Russia has become the largest wheat exporter in the world. – Cuba could do likewise. She has the agricultural potential to become fully food-autonomous. On Economic and financial sovereignty– four facets are being addressed. The first one, foreign investments, Cuba may want to focus on (i) technology; (ii) assuring that a majority of the investment shares remains Cuban; (iii) using to the extent possible Cuba’s own capital (reserves) for investments. Foreign capital is bound to certain conditionalities imposed by foreign investors, thus, it bears exchange rate and other risks, to the point where potential profits from foreign assets are usually discounted by between 10% and 20%; and (iv) last but not least, Cuba ought to decide on the sectors for foreign investors – NOT the foreign investor. As the hegemony of the US dollar is used to strangle any country that refuses to bend to the empire, a progressive dedollarization is of the order, meaning, in addition to the US dollar itself, move progressively away from all currencies that are intimately linked to the US dollar, i.e. Canadian and Australian dollars, Euro, Yen, Pound Sterling – and more. This is a strategy to be pursued in the short- and medium term, for the protection against more sanctions dished out by the US and its spineless allies. Simultaneously, a rapprochement towards other monetary systems, for example in the east, especially based on the Chinese gold-convertible Petro-Yuan, may be seriously considered. Russia and China, and in fact the entire SCO (Shanghai Cooperation Organization), have already designed a monetary transfer system circumventing the western SWIFT system, which has every transaction channeled through and controlled by a US bank. This is the key motive for economic and financial sanctions. There is no reason why Cuba could not (gradually but pointedly) join such an alternative system, to move out of the western claws of embargo. The SCO members today encompass about half of the world population and control one third of the globe’s GDP. Drawbacks would be that the import markets would have to be revisited and diversified, unless western suppliers would accept to be paid in CUC, or Yuan through a system different from SWIFT. Moving away from the western monetary transfer system may also impact remittances from Cubans living in the US and elsewhere in the west (about US$ 3.4 billion – 2017 – less than 4% of GDP). It would mean departing from monetary transactions in the Euro and European monetary zones. Be aware – the future is in the East. The West is committing slowly but steadily suicide. Another crucial advice is – stay away from IMF, World Bank, Inter-American Development Bank (IDB), World Trade Organization (WTO) – and the like. They are so-called international financial and trade organizations, all controlled by the US and her western “allies” – and tend to enslave their clients with debt. Case in Point – Mexico: President Andres Manuel Lopez Obrador (AMLO), a leftist, has little margin to maneuver Mexico’s economy, inherited from his neoliberal predecessor, Enrique Peña Nieto. Mexico’s finances are shackled by the international banking system, led by the IMF, FED, WB and by association, the globalized Wall Street system. For example, AMLO intended to revive PEMEX, the petroleum state enterprise. The IMF told him that he first had to “financially sanitize” PEMEX, meaning putting PEMEX through a severe austerity program. The banking community agreed. 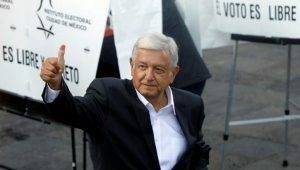 In case AMLO wouldn’t follow their “advice”, they might strangle his country. The CUC versus the Peso, a dual monetary system (CUC 1 = CuP 25.75), has also been used by China up to the mid-80s and by Germany after WWI, to develop export / import markets. However, there comes a time when the system could divide the population between those who have access to foreign currencies (CUC-convertible), and those who have no such access. Also, the convertibility of the CUC with the Euro, Swiss franc, Pound Sterling and Yen, make the CUC, de facto, convertible with the dollar – hence, the CUC is dollarized. This is what Washington likes, to keep Cuba’s economy, despite the embargo, in the orbit of the dollar hegemony which will be used in an attempt to gradually integrate Cuba into the western, capitalist economy. – However, Washington will not succeed. Cuba is alert and has been resisting for the last 60 years. The Fifth Column – refers to clandestine and / or overt infiltration of opposing and enemy elements into the government. They come in the form of NGOs, US-CIA trained local or foreigners to destabilize a country – and especially a country’s economy – from inside. There are ever more countries that do not bend to the dictate of the empire and are targets for Fifth Columns – Russia, China, Iran, Syria, Venezuela, Pakistan and more – and Cuba? The term, “Fifth Column” is attributed to General Emilio Mola, who during the Spanish civil war in 1936, informed his homologue, General Francisco Franco, that he has four columns of troops marching towards Madrid, and that they would be backed by a “fifth column”, hidden inside the city. With the support of this fifth column he expected to finish with (the legitimate) Republican government. The process of “infiltration” is becoming ever more sophisticated, bolder and acting with total impunity. Perhaps the most (in)famous organization to foment Fifth Columns around the world, among many others, is the National Endowment for Democracy (NED), the extended arm of the CIA. It goes as a so-called NGO, or ‘foreign policy thinktank’ which receives hundreds of millions of dollars from the State Department to subvert non-obedient countries’ governments, bringing about regime change through infiltration of foreign trained, funded and armed disruptive forces, sowing social unrest and even “civil wars”. Cases in point are Ukraine, Syria, Afghanistan, Sudan, Somalia, Libya – and more – and now they attempt to topple Venezuela’s legitimate, democratically elected Government of Nicolás Maduro. They work through national and international NGOs and even universities in the countries to be ‘regime changed’. Part of this ‘Infiltration” is a massive propaganda campaign and intimidation on so-called allies, or client states. The process to reach regime change may take years and billions of dollars. In the case of Ukraine, it took at least 5 years and 5 billion dollars. In Venezuela, the process towards regime change started some 20 years ago, as soon as Hugo Chavez was elected President in 1998. It brought about a failed coup in 2002 and was followed by ever increasing economic sanctions and physical military threats. Earlier this year, Washington was able to intimidating almost all of Europe and a large proportion of Latin America into accepting a US-trained implant, a Trump puppet, Juan Guaidó, as the interim president, attempting to push the true legitimate Maduro Government aside. To put impunity to its crest, the Trump Government blocked 12 billion dollars of Venezuela’s foreign reserves in NY bank accounts and transferred the authority of access to the money to the illegitimate self-appointed interim president, Juan Guaidó. Along the same lines, the UK refused to return 1.2 billion dollars-worth of Venezuelan gold to Caracas. All these criminal acts would not be possible without the inside help, i.e. the “Fifth Column”, the members of which are often not readily identifiable. It is not known, how often the empire attempted ‘regime change’ in Cuba. However, none of these attempts were successful. The Cuban Revolution will not be broken. Water resources – is a Human Right and a vital component of an economy of resistance. Water resources will be more precious in the future than petrol. The twin satellites GRACE (Gravity Recovery and Climate Experiment) discovered the systematic depletion of groundwater resources throughout the world, due to over-exploitation and massive contamination from agriculture and industrial waste. Examples, among many, are the northern Punjab region in India with massive, inefficient irrigation; and in Peru the Pacific coastal region, due to inefficient irrigation, unretained runoff rain- and river water into the Pacific Ocean, and destruction of entire watersheds through mining. Privatization of water resources, not only of drinking water and water for irrigation, but of entire aquifers, is becoming an increasing calamity for the peoples of our planet. Again, with impunity, giant water corporations, led by France, the UK and the US are gradually and quietly encroaching on the diminishing fresh water resources, by privatizing them, so as to make water a commodity to be sold at “market prices”, manipulated by the water giants, hence, depriving ready access to drinking water to an ever-growing mass of increasingly impoverished populations, victims of globalized neoliberal economies. For example, Nestlé and Coca Cola have negotiated with former Brazilian President Temer, and now with Bolsonaro, a 100-year concession over the Guaraní aquiver, the largest known, renewable freshwater underground resource, 74% of which is under Brazil. Bolsonaro has already said, he would open up the Amazon area for private investors. That could mean privatization of the world’s largest pool of fresh water – the Amazon basin. Economic Resistance means – Water is a Human Right and is part of a country’s sovereignty; water should NEVER be privatized. For Cuba rainwater – on average about 1,300 mm / year – is the only resource of fresh water. Cuba, like most islands, is vulnerable to rainwater runoff, estimated at up to 80%. There are already water shortages during certain times of the year, resulting in droughts in specific regions. Small retention walls may help infiltrate rainwater into the ground, and at the same time regulate irrigation, provide drinking water and possibly generate electricity for local use through small hydroelectric plants. The National Water Resources Institute (INRH – Instituto Nacional de Recursos Hidráulicos), is aware of this issue and is formulating a forward-looking water strategy and planning the construction of infrastructure works to secure a countrywide water balance. Other challenges include the hygienic reuse and evacuation of waste water, as well as in the medium to long run an island-wide Integrated Water Resources Management (IWRM). Self-sufficiency in food, health services and education. Cuba has achieved the latter two and is now aiming at achieving 100% agricultural autonomy – and in the meantime is advised diversifying food import markets. Economic and financial sovereignty, including progressive dedollarization, deglobalizing monetary economy and creating internal monetary harmony. The “Fifth Column”– always be aware of its existence and with perseverance keep going on the path of past successes, preventing the Fifth Column’s destabilizing actions. Water resources autonomy– achieving countrywide Integrated Water Resources Management, with focus on protection, conservation and efficient water use. Peter Koenig is an economist and geopolitical analyst. He is also a water resources and environmental specialist. He worked for over 30 years with the World Bank and the World Health Organization around the world in the fields of environment and water. He lectures at universities in the US, Europe and South America. He writes regularly for Global Research; ICH; RT; Sputnik; PressTV; The 21st Century; TeleSUR; The Vineyard of The Saker Blog, the New Eastern Outlook (NEO); and other internet sites. He is the author of Implosion – An Economic Thriller about War, Environmental Destruction and Corporate Greed – fiction based on facts and on 30 years of World Bank experience around the globe. He is also a co-author of The World Order and Revolution! – Essays from the Resistance. He is a Research Associate of the Centre for Research on Globalization.